Like great winemaking, we gather cocoas specially selected from different origins (Vietnam, Madagascar, Brazil...). 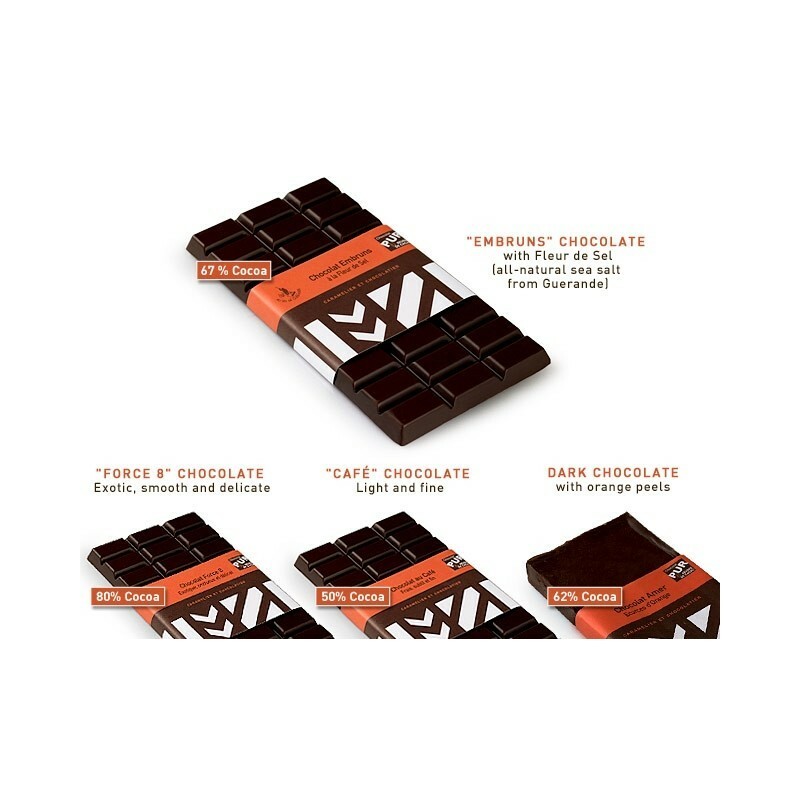 You will travel to these shores by tasting, these very pure and intense bars. There will certainly be one who will beguile and enchant you! 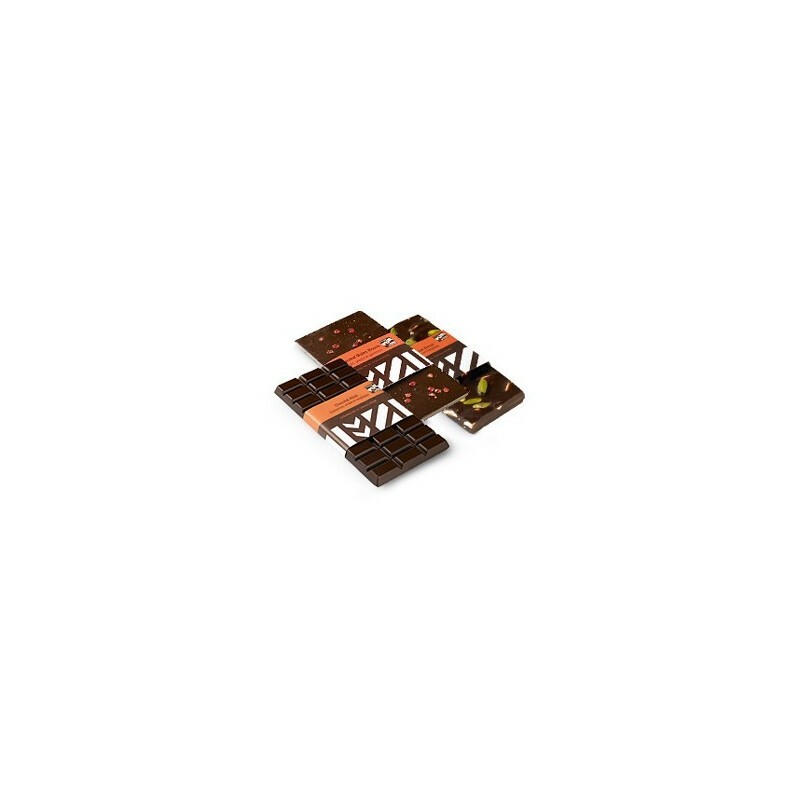 A fresh and soft attack for this very well-balanced chocolate with beautiful long-lasting aromas. Very sweet at first taste, it leaves place to florals and woody notes with a slight touch of astringency. Slightly acid and fruity at first taste, it leaves place to chocolate warm notes with slight touch of bitterness and a pronounced length in a the mouth. Delicate and fruity at first taste, it leaves place to warm notes and a fine significant length. Warm and voluptuous. A chocolate of character, ideal for coffee lovers! Dark chocolate with Fleur de Sel de Guérande (Fine Breton salt), crêpe dentelle (crunchy very thin pancake) and caramelized almonds. A colonial journey… Chocolate and pink peppercorns... Soothing and generous! Light and fine. A magic marriage between coffee and chocolate! Sugar-free chocolate, suitable for diabetics! The sugar is obtained from malt. Origin Colombia. Sweet and delicate. Subtle with a fresh note of forest and mushrooms. A balanced and wise chocolate with a lot of character. Origin Venezuela. A great Seigneur! Soft and powerful with citrus notes. A beautiful harmony. Exotic, smooth and delicate. Spicy notes. For bitterness lovers. Powerful but delicate. A perfect marriage of Venezuela and Madagascar cocoas. Bitter chocolate with whole almonds and pistachios. Bitter chocolate with candied orange peels. Bitter chocolate with caramelized almonds. Bitter chocolate with whole hazelnuts. In the language of chocolate makers, the \"Bitter\" term means simply \"Dark chocolate\". Beware! Preservation: 12 months for plain chocolate bars, 4 months for dried fruits bars and 6 months for the Goviro bar. All the bars may contain traces of nut, milk, sesame and egg. Dark chocolate (cocoa bean, sugar, cocoa butter, emulsifier: SOYA lecithin). Dark chocolate (cocoa bean, sugar, cocoa butter, emulsifier: SOYA lecithin, vanilla natural extract), pink peppercorns (0,14%). Dark chocolate (cocoa bean, sugar, cocoa butter, emulsifier: SOYA lecithin, vanilla natural extract), cocoa butter. Dark chocolate (cocoa bean, sugar, cocoa butter, coffee 9%, emulsifier: SOYA lecithin, vanilla natural extract), cocoa paste, cocoa butter. Dark chocolate (cocoa bean, sugar, cocoa butter, emulsifier: SOYA lecithin, vanilla natural extract), Guérande fleur de sel 0,1%. Dark chocolate (cocoa bean, sugar, cocoa butter, emulsifier: SOYA lecithin, vanilla natural extract). Dark chocolate (cocoa bean, sugar, cocoa butter, emulsifier: SOYA lecithin, vanilla natural extract), cocoa bean. Dark chocolate (cocoa bean, sugar, cocoa butter, emulsifier: SOYA lecithin, vanilla natural extract), crêpes dentelle 8% (WHEAT flour, sugar, anhydrous MILKfat, MILK sugar, MILK proteins, salt, malt extract (BARLEY), baking powder: sodium bicarbonate, ALMONDS 6%, sugar, Guérande fleur de sel 0,7%. Dark chocolate (cocoa bean, sweetener: Maltitol, emulsifier: SOYA lecithin, vanilla natural extract). Dark chocolate (cocoa bean, sugar, cocoa butter, emulsifier: SOYA lecithin, vanilla natural extract), ALMONDS 27%, PISTACHIOS 9%. 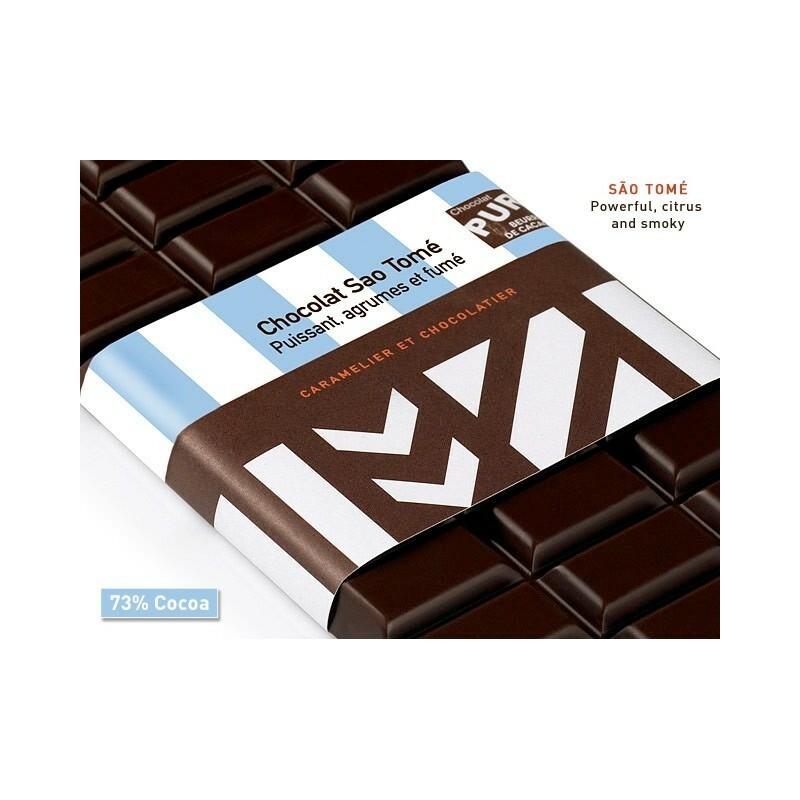 Dark chocolate (cocoa bean, sugar, cocoa butter, emulsifier: SOYA lecithin, vanilla natural extract), caramelized ALMONDS 32% (almond, sugar), sugar. 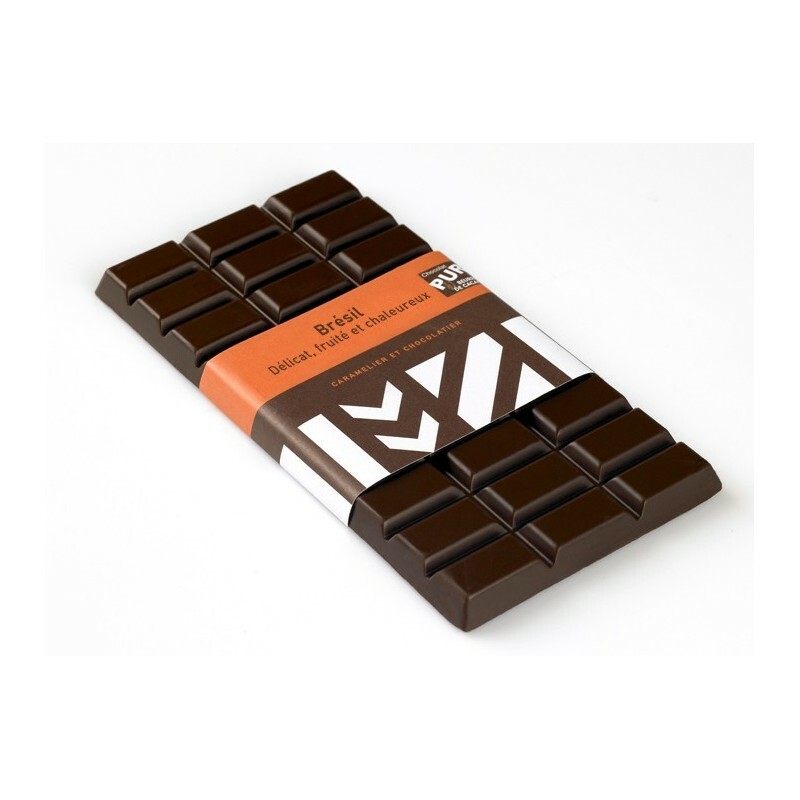 Dark chocolate (cocoa bean, sugar, cocoa butter, emulsifier: SOYA lecithin, vanilla natural extract), HAZELNUTS 41%. 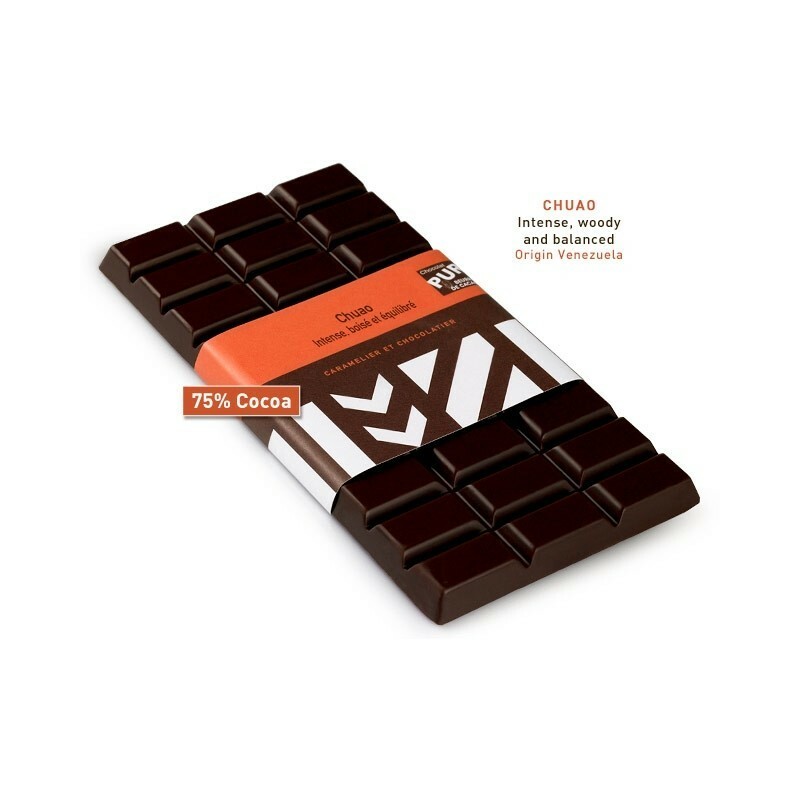 Dark chocolate (cocoa bean, sugar, cocoa butter, emulsifier: SOYA lecithin, vanilla natural extract), candied orange 16% (orange, sugar, glucose).